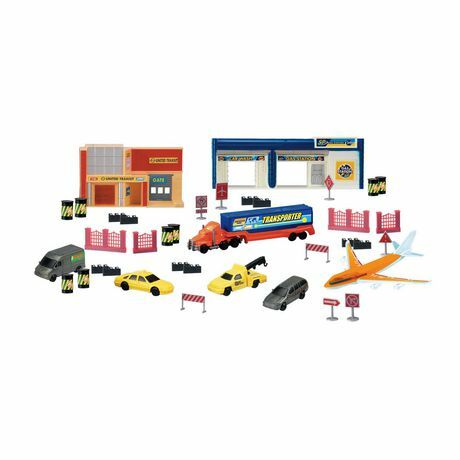 Everything from big rig to taxi cab and even a plane are included in this fun Kid Connection 38-piece City Adventure Vehicle Set. 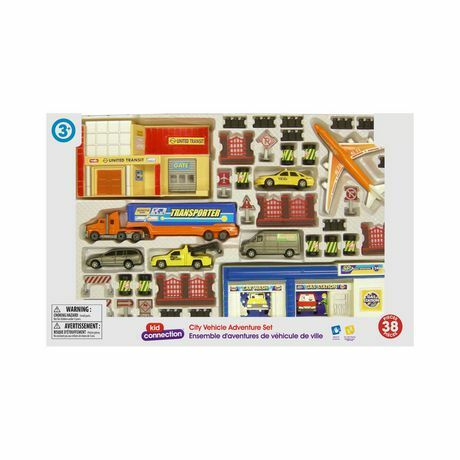 It comes with several colourful vehicles and accessories, including road signs and a car wash. Kids of all ages will be encouraged to create their own stories about life in a real city.